Disrupts the connective tissue to firm and smooth the skin. Causes neo­vascularization, improving circulatory exchanges (the root cause of the problem). 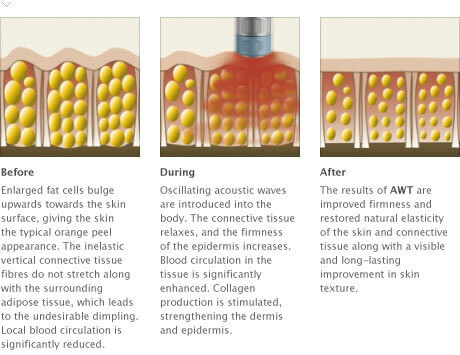 Initiates an inflammatory process in the skin, leading to thicker, more elastic skin through collagen production. The elasticity of the connective tissue is restored and the skin is smoother. The skin is thicker and more elastic with noticeable improvement to the skin’s texture.